Todd Astle is a New Zealander cricketer, born on 24th September, 1986 in Palmerston North, New Zealand. The right-handed batsman hons his all-round skill with leg-break bowling. Astle hogged the first limelight when he stitched 374 runs with opening partner Kieryn Ambler for Canterbury against Auckland in Christchurch in 2004-05, which was a New Zealand U-19 record. His consistent performance propelled him to make the first-class debut for Canterbury against Wellington in the State Championship in December 2005, scoring 8 runs in the match. Assessing his strength, the opening batsman concentrated on leg-spin and donned the all-rounder role in 2009. His transformation paid the dividend as the leggie scalped 55 wickets in the next two seasons in Plunket Shield. In 2011-12, his outstanding effort of 31 wickets at 38.55 almost took him to the national team door. 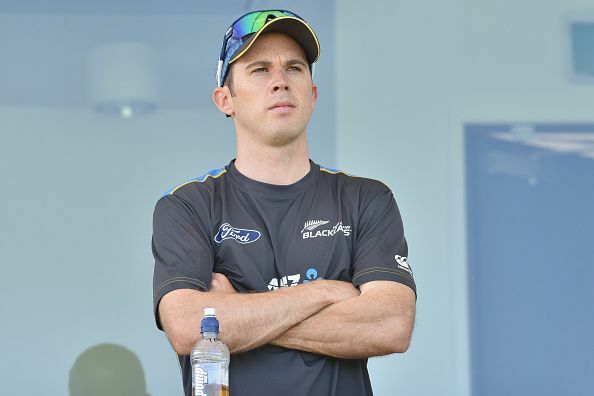 Daniel Vettori’s injury rallied the inclusion of Todd Astle in the test squad against Sri Lanka. He made his test debut in the second test against Sri Lanka in November 2012 in Colombo. Astle picked his solitary wicket in the second innings. However, his immensely patient 35 off 133 balls could not shield him to be left out of the test. Five years later, Astle’s six wickets at 27.83 during New Zealand A's tour of India ensured his inclusion in the ODI team against India. But a groin injury during a practice match further delayed his debut. Finally, Astle announced his arrival in ODI with an all-round performance against West Indies in Whangarei in December 2017. While he scalped three wickets conceding 33 runs in 10 overs, he took New Zealand over the line with a handy 15 off 13 deliveries. However, in his T20I debut, Astle was dispersed for runs and scored a single against Pakistan in Auckland in June 2016. Astle has shown promise in his small ODI stint taking seven wickets at 21.42 with acquiring 64 runs in three innings. The 2013-14 Plunket Shield Championship saw Astle 2.0, as he took 147 wickets at 28.46 besides chipping in with vital runs in the lower-middle order. He navigated Canterbury to Plunket Shield Championship victory by scalping 14 wickets in the final against Central District in February 2014. Astle played his second test against Pakistan at Christ Church, four years after debuting in 2012. On a green-top, he bowled only four overs in the entire match and fell in the first ball in the first innings and subsequently got axed from the team. Todd represented Canterbury in the domestic circuit winning Plunket Shield thrice in last four years and he guided them to 2016-17 Ford Trophy victory.